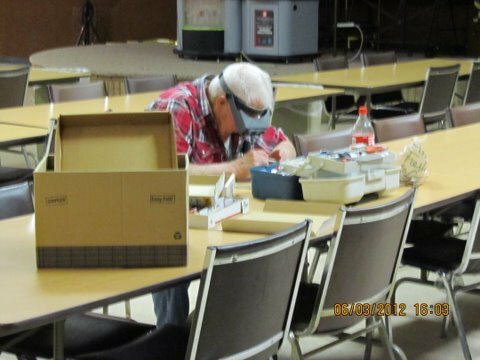 Description: NVNTRAK is a mobile club and as such we have no home base; however, in order to be able to work with each other and to share ideas, we meet once a month at a local firestation to conduct what we call the Backshop. 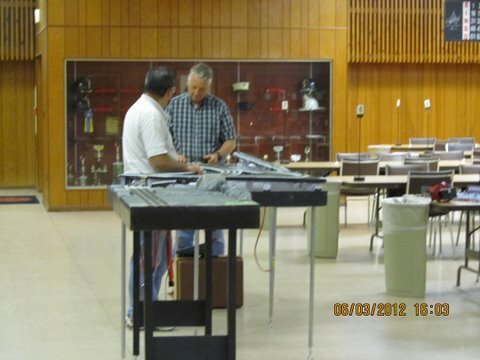 The Backshop is an opportunity for members to get together, share ideas, and to test new modules and/or equipment. 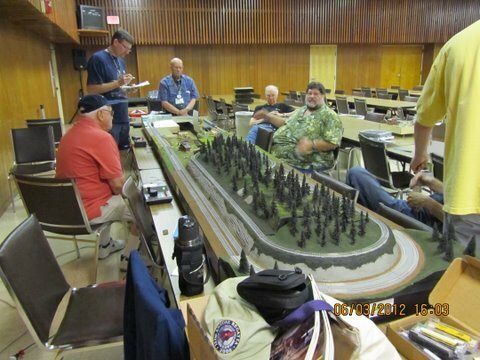 The topic of discussion at the Backshop in June was T-TRAK and we had a layout there to test out several new modules and also to show other members what we are doing with T-TRAK. 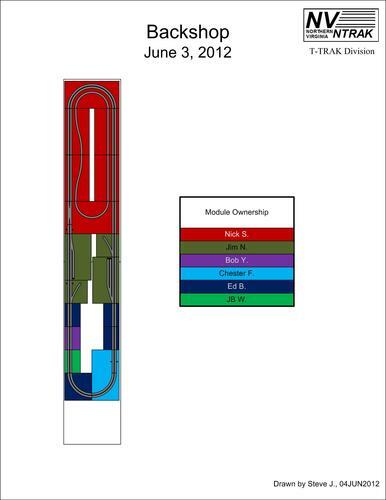 Here is a diagram of the layout that we put together. Many of the modules do not yet have scenery while some are already on this site and are finished. 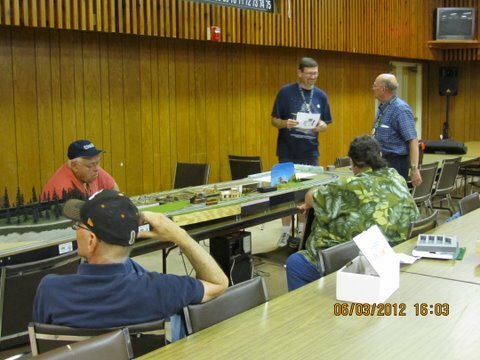 John and Jim working on an NTRAK module set. 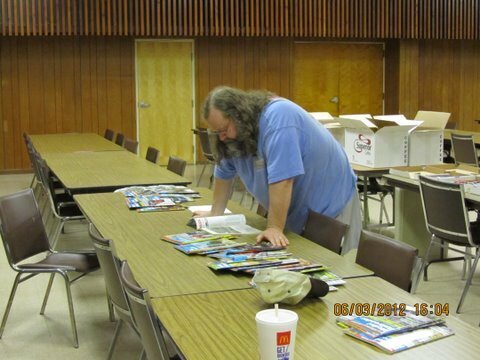 Jim N trying to convince himself that he doesn't need any more magazines!